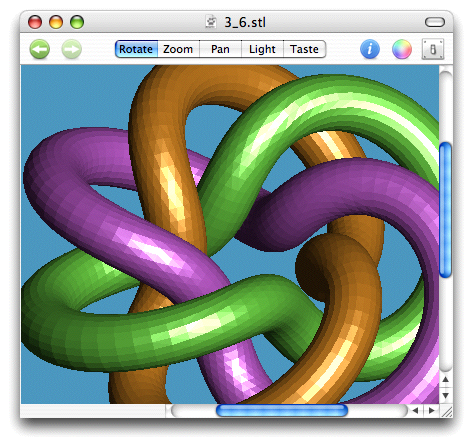 This showns one of Herbert Edelsbrunner's circle knots, with color added. Eldon Nyqvist actually made one of these tubes on a rapid prototyping system. Read the Make blog and have a look at the Flickr photos. Copyright © 2006 Ripplon Software Inc.